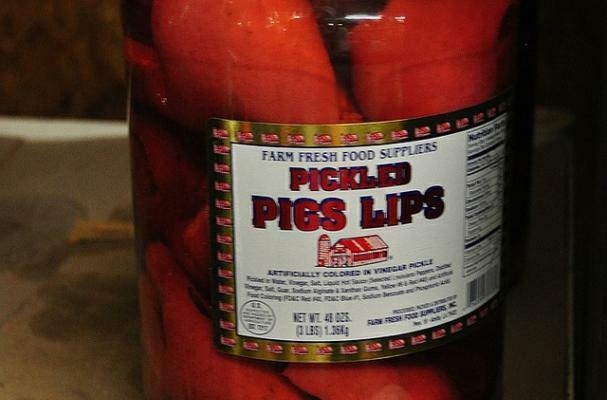 We've heard of pickled pigs' feat, but lips? The proprietor of O'Kelly's in Charlotte, North Carolina shares this and other crazy edible merchandise from his store with a WSOC TV news correspondent. He says he can't keep them in stock. "Once you try one you throw rocks at t-bone steaks," he claims. Watch the funny video below. Brave ones can order pickled pig lips here from SimplyCajun.com.